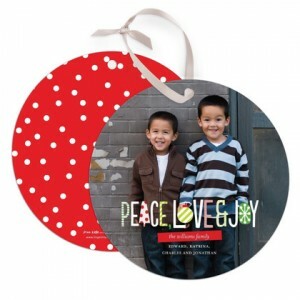 Tiny Prints' New Premium DoubleThick™ Matte Paper and New Holiday Card Designs | A Savings WOW! With Thanksgiving just around the corner, now’s a good time to get your holiday cards ready, too! Tiny Prints has some new designs and some new features, including their new Premium DoubleThick™ Matte Paper. Watch the video above to see exactly how thick they are. One thing that is great about having the new Premium DoubleThick™ Matte Paper is that if you decide to get the Winter Symbols Ornament Card below, it will look wonderful hanging on your friends and family’s trees! Check out Tiny Prints’ specials and promotions page before you order your holiday cards to get some terrific discounts on your order. Disclosure: This is a post sponsored by Tiny Prints. All opinions are our own honest opinions. Please see our disclosure policy for more information.